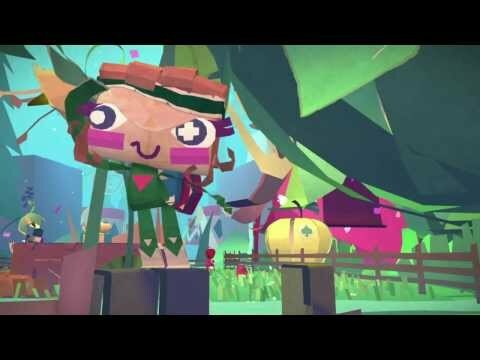 Tearaway™ is the next creative masterpiece from Media Molecule, the critically acclaimed developer behind the award winning LittleBigPlanet™ franchise. 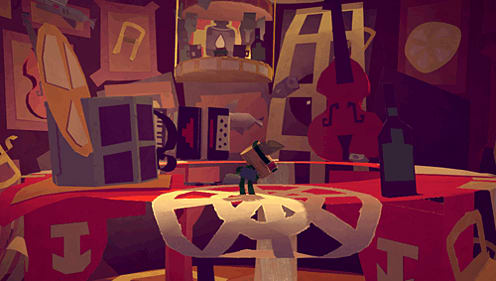 Inspired by and created specifically for PS Vita, the tactile world of Tearaway is a beautifully crafted 3D open environment built completely out of paper that behaves with the real world physics of actual paper. 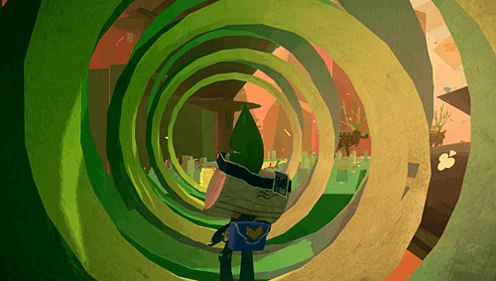 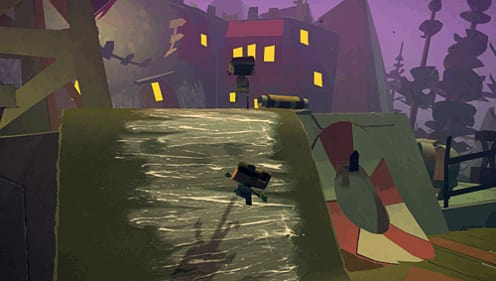 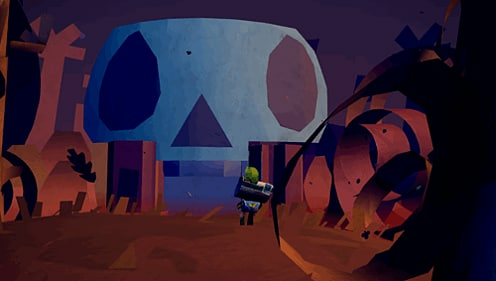 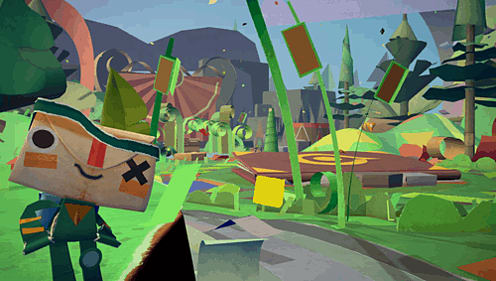 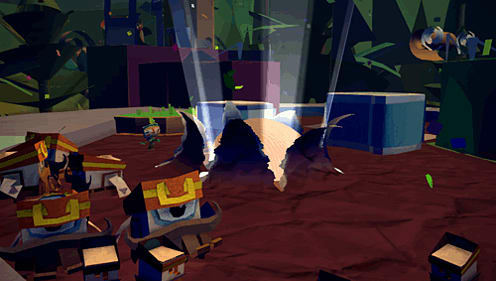 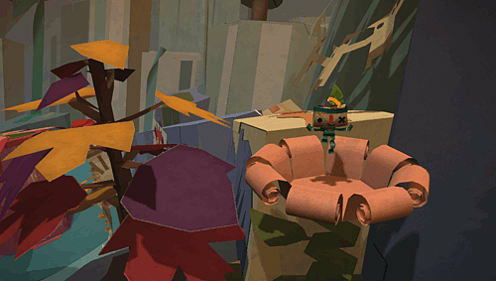 Tearaway is a “buddy-movie” style adventure, between the you and a papercraft messenger from another dimension IOTA (or alternatively ATOI). 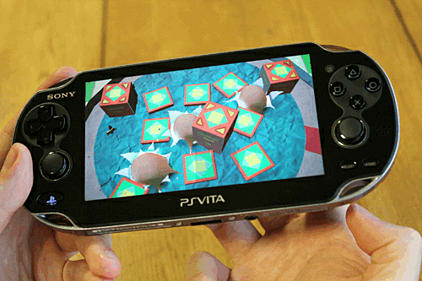 The Messenger is controlled with the PS Vita’s sticks and face-buttons, but whenever they need some more dramatic help, you player can reach into the PS Vita and effect the papery-world, sometimes in tactile creative ways and sometimes in dramatically destructive methods. 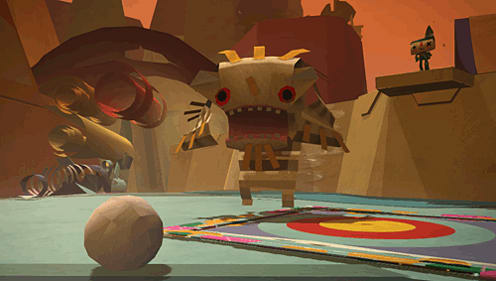 The PS Vita’s microphone will allow you to breathe storms and wield the voice of god into the paper land. 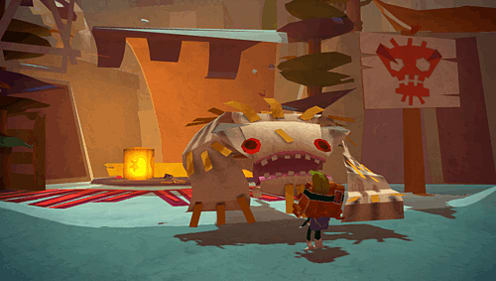 Players will also see their own fingertips push up into the environment to come to their messenger’s aid via rear touch, or unfold areas of scenery with the front touch.